Indian officials are dismissing concerns expressed by NASA Administrator Jim Bridenstine about debris in low Earth orbit from an Indian anti-satellite (ASAT) test that could threaten the International Space Station (ISS) and other spacecraft. The Hindustan Times reports that an official from the Defence Research and Development Organisation (DRDO) as downplaying the dangers. The DRDO chief and a spokesperson did not comment. An official of the agency, while asking not to be named, said the debris will disappear in 45 days. “The test was calibrated keeping in mind the debris issue. The world should know that debris from two Chinese tests is still floating whereas those created by the Indian test will disappear,” he added. An Indian expert said that India conducted the anti-satellite test responsibly but agreed it could have raised risks for the ISS. “I would say India conducted the test responsibly. At 300km, the altitude is lower than that of the ISS and most of the other satellites and the debris will come back to the atmosphere of the earth eventually. That said, there is a possibility that some debris might enter the apogee of the space station; the risk of collision increases as it does with any object sent to space ,” said Rajeswari Rajagopalan, head of nuclear and space initiative, Observer Research Foundation (ORF). Prime Minister Narendra Damodardas Modi hailed the test, saying it made India a space power. During a NASA all-hands meeting on Monday, Bridenstine said the test created 400 pieces of debris, including 24 that went above the apogee of the International Space Station (ISS). “That is a terrible, terrible thing, to create an event that sends debris into an apogee that goes above the International Space Station,” he said. “And that kind of activity is not compatible with the future of human spaceflight. It’s unacceptable, and NASA needs to be very clear about what its impact to us is…. “While the risk went up 44 percent, our astronauts are still safe. The International Space Station is still safe. If we need to maneuver it, we will. The probability of that, I think, is low,” Bridenstine added. The space station has maneuvered on many occasions to avoid potential debris strikes. 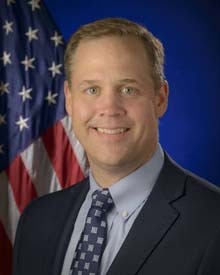 Bridenstine expressed concerns that the Indian ASAT test will inspire other nations to conduct similar ones, thus increasing the debris in orbit. India is planning to conduct the first flight trial of its Hypersonic Technology Demonstrator Vehicle (HSTDV) in the next 12 to 18 months, according to Defence Research and Development Organisation (DRDO) officials. The HSTDV programme aims to produce a hydrocarbon-fuelled scramjet test article capable of Mach 6-7 and autonomously guided flight. The HSTDV will pave the way for a hypersonic cruise missile and platforms that can perhaps be applied to other tasks, such as very high-speed reconnaissance. According to DRDO sources, initial ground tests with the kerosene-fuelled scramjet (supersonic combustion ramjet) have been completed and the propulsion system is now being integrated with the air vehicle. While the Chinese celebrate the launch of a three-member crew to the Tiangong-1 space station, two former chairman of India’s space agency ISRO are looking on with both admiration and regret. As China’s program has moved slowly but steadily forward, India’s plans for human space missions have slipped from around 2016 into the early to mid-2020s. India’s top space scientists praised China’s maiden mission of manned docking of its space lab even as New Delhi’s own human space flight programme seems to have lost momentum. He said India has not started any manned mission programme at all. “We have to have much larger and much more powerful launch vehicle,” Rao said. Officials have budgeted $2.2 billion over the next three years for the nation’s space program, according to press reports. 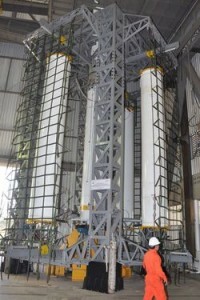 The largest chunk of the funds will go toward efforts to launch Ukraine’s Cyclone-4 rocket from Brazil’s Alcantara Launch Center. The inaugural flight is currently scheduled for late 2013. Another key priority is the CBERS-3 environmental satellite that Brazil is developing with China. On March 29, engineers conducted the second test on the separation of the four drives of the first stage of the new VLS-1 rocket, a small satellite booster set to make its inaugural flight later this year. “Measurements were made of mechanical shock, vibration, almost static, distortion, simultaneous separation of the four drivers of the first stage, displacement, and the cover photo and video (HD and high speed),” according a press statement. The two leaders also agreed to Indian cooperate in Brazil’s Science Without Borders program, under which the South American country seeks to educate 75,000 students abroad. The cooperation will involve an exchange of students and educators between the two nations and other educational activities. The design of the winged vehicle by Indian Space Research Organisation (Isro), the Reusable Launch Vehicle-Technology Demonstrator (RLV-TD), has been approved by the National Review Committee. An Isro official said design-related issues have been addressed and presented to the National Review Committee and clearance obtained to go ahead to build the RLV-TD. The space agency, as a first step towards realising a Two-Stage To Orbit (TSTO) re-usable launch vehicle, has developed a winged RLV-TD. The RLV-TD will act as a flying test-bed to evaluate various technologies — hypersonic flight, autonomous landing, powered cruise flight and hypersonic flight using air breathing propulsion. The first in the series of trials is the hypersonic flight experiment (HEX) followed by the landing experiment (LEX), return flight experiment (REX) and scramjet propulsion experiment (SPEX). It will be interesting to see just how quickly something like this develops. ISRO tends to work slowly and steadily. India’s plan to launch astronauts into space on its own appears to have slipped into the 2020s, while the possible involvement of foreign partners in the effort has been nixed. On Friday, it was announced that ISRO had signed a memorandum of understanding (MOU) with the Indian Air Force (IAF) for the selection of astronauts beginning no earlier than 2020. In late January 2010, ISRO announced a $4.8 billion plan to launch astronauts aboard its own rocket and spacecraft in 2016. A high-level committee has completed a probe into the controversial satellite deal between ISRO’s Antrix commercial arm and Davas Multimedia, according to Indian press reports. Investigations are being carried out based on the team’s review. The five-member body, appointed in May by Prime Minister Manmohan Singh, was asked to investigate how the deal was made and to identify any acts of “omission and commission” by the government officials who approved it. AEB PR — The two emerging powers need to define forms and fields of cooperation in space. 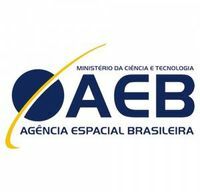 The full awareness of this growing need was clear during a meeting of Ambassador of India, BS Prakash, the President of the Brazilian Space Agency, Professor Marco Antonio Raupp, on Tuesday. Outline was agreed by the end of the year, the concrete fields of cooperation to be effective, based on mutual interests and participation of companies from both countries. It was also agreed to devote special attention to the program in future meetings Satellite IBSA forum approved by India, Brazil and South Africa. The technical characteristics of these satellites have begun to be developed. Beset by allegations of corruption, cronyism and unaccountability, beleaguered Prime Minister Manmohan Singh has ordered a second investigation into the controversial Antrix-Devas Multimedia spectrum deal that has convulsed Indian politics. The goal of this inquiry: to find someone to blame for this whole mess. Who? Anyone but the prime minister. [The] new inquiry by former Central Vigilance Commissioner Pratyush Sinha….has been set up in pursuance to the recommendations of the BK Chaturvedi committee that went into the technical, commercial, procedural and financial aspects of the agreement between ISRO’s commercial arm Antrix and Devas. The Sinha Committee has been asked to look into matters of individual culpability and fix responsibility, if any and submit a report by July end, the sources said. There was joy at ISRO this week as the space agency successfully launched a PSLV rocket with satellites aboard. The success relieved some of the gloom that had settled over the Indian space agency after consecutive failures by the larger GSLV rocket last year. RESOURCESAT-2: an ISRO-built advanced remote sensing satellite weighing 1206 kg. that will be used for the study and management of natural resources. YOUTHSAT: a 92 kg. Indo-Russian satellite for stellar and atmospheric studies. X-SAT: a 105 kg. imaging micro-satellite built by Nanyang Technological University (NTU), Singapore. In related news, a review board has identified a design flaw in the payload shroud caused the loss of the GSLV rocket on Christmas Day. The failure sent a valuable communications satellite into the Bay of Bengal. UPES PR — March 30th 2011, New Delhi, India: An academic research report on Space Tourism in India conducted by students and faculty members of the University of Petroleum and Energy Studies (UPES), Dehradun in association with the Institute of Air & Space Law, McGill University, Montreal, Canada was released by Dr Nasim Zaidi, Secretary, Ministry of Civil Aviation, Government of India. Applauding the efforts of UPES on the accomplishment of this Report, Dr Zaidi, Secretary, Ministry of Civil Aviation expressed his belief that, â€œIn the years to come, this Report, the first ever in the country, will serve as a basic report for future research reports in the rapidly emerging field of space tourism and hence a truly momentous occasion for the Universityâ€. He also stated that the Report was impressive in its contents and perspectives on the present and future challenges of this emerging industry. 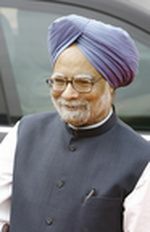 Indian Prime Minister Manmohan Singh gave an address to ISRO employees at the space agency’s Space Application Centre in Ahmedabad on Saturday. 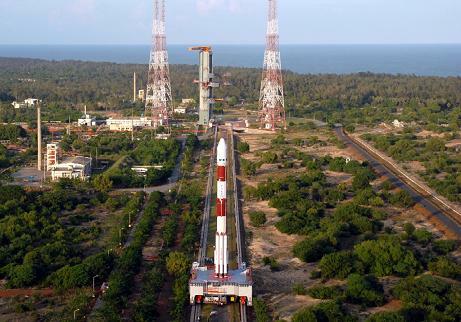 The speech, was was beamed to other ISRO centers across the country, comes at a time when the space agency is dealing with the fallout of a controversial satellite deal with Devas Multimedia and struggling to recover from the loss of two GSLV rockets last year. The full text of Singh’s remarks follows after the break. DRDO expects to test fly Indiaâ€™s indigenous hypersonic technology demonstrator vehicle (HSDTV) by early next year, the defence agencyâ€™s Chief V K Saraswat said Friday. 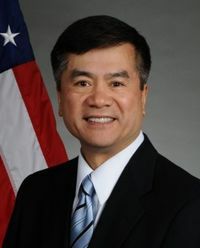 Following the removal of sanctions against ISRO and other Indian Organizations, Commerce Department Secretary Gary Locke is leading a six-day trade mission to the subcontinent that begins on Feb. 6. Executives from Boeing and Lockheed Martin are among representatives from 24-high tech companies who will accompany the secretary. 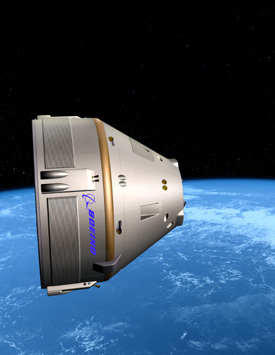 Boeing has expressed interest in supplying technologies for India’s planned human spaceflight program. Twenty-four U.S. businesses will join Commerce Secretary Gary Locke for a business development mission to India on February 6-11.Â The businesses joining the trade mission are based in 13 states across the country and more than half of them are small- and medium-sized companies.